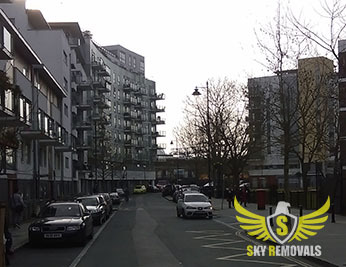 When looking for efficient and affordable property removals in Southwark, look no further than Sky Removals! We handle all types of domestic and commercial removals in SE1 area. Our private and business customers receive nothing short of the best removal and delivery solutions available right now. Our expertise and punctuality will make all the difference and ensure a hassle-free service experience for our clients. We leave nothing to chance and deal accordingly with all stages and aspects of the process. The range of removal services in Southwark can be altered as per individual customer requirements. We deal with all types of home moving projects, no matter how big or small the job. Whether you are moving a studio flat or a four bedroom property, we will organise and handle the job quickly, safely and affordably. Our trained and experienced removal teams will deal with all aspects of the project from start to end, so customers have fewer things to worry about. We maintain good short notice availability in SE1 / SE17 so we provide flexible and convenient booking hours. Our trained and well organised removal technicians will deal effectively with those tricky, and time consuming chores like packing and securing of valuable items prior to handling and transit. We need to make sure every item in our care is handled carefully and delivered intact, the extra effort we invest and the attention to detail will make quite a difference. Should the need be there, we can customise the service as per individual requirements, or include additional options as part of the removal. Business clients in SE1 and SE17 looking to relocate their office or establishment can turn to us for a variety of custom tailored commercial removals in Southwark. We expertly organise, schedule and conduct all stages of the project with professional pace, precision and efficiency. We will carry out the removal process in a suitable time and day of the week as to minimise downtime for your business, and have you settled and ready for work as soon as possible, and with the least amount of disruption. 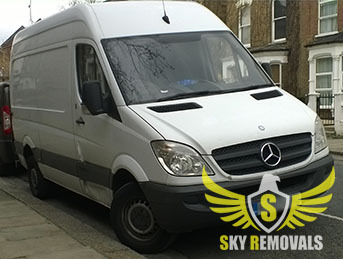 As always, our commercial removal services in Southwark (SE1/SE17) can be customised as per individual requirements, we can also include additional options as part of the service without unreasonably high costs. All stages of the removal will be coordinated by an experienced supervisor, who will make sure everything is going according to plan and schedule. Residential and commercial customers throughout Southwark, can take full advantage of our specialised removal options in SE1/SE17. We handle effectively those odd job removals which are otherwise a real hassle to deal with. Whether you need to shift an antique piano, a bulky wardrobe or a heavy appliance/piece of machinery, we will make it happen quickly safely and without the usual high costs. When dealing with such jobs, it might be a good idea to schedule a viewing with one of our drivers/coordinators so that we organise everything in the most efficient way. Work done by trained, experienced and qualified removal technicians in a diligent, well organised fashion, without any delays or errors. 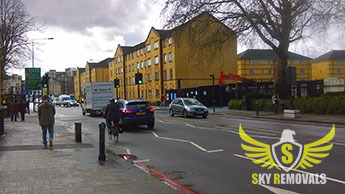 Flexible services formats, additional options, good short notice availability – moving places and delivery of items in Southwark and SE1 has never been easier or more efficient. Our professional removal solutions in Southwark are fully licensed, we have permits for all services on offer and hold comprehensive insurance. Households and offices in SE1/SE17 can turn to us for fixed schedule pickup and delivery services of various goods and items. Fixed schedule / One off pickup and delivery A flexible and convenient service option for internet order items, store purchase deliveries etc. Private and business customers in SE1 are provided with individually prepared quotes, without any hidden fees or unmentioned additional charges. Our pricing reflects the actual specs of the project, we aim to offer the best possible price given the circumstances. For extra cost efficiency and more value for money, take advantage of our custom tailored service bundles. Southwark is an inner London borough situated immediately across the river from City of London itself. The borough is connected to City of London via a number of bridges across the Thames. Southwark was formed in nineteen sixty five by a merger of three smaller localities. Being part of South Bank, the borough is home to various well known attractions and sights, including architectural landmarks like London’s Shard skyscraper. Other cultural and historic venues in the borough are Shakespeare’s Globe Theatre, the Tate Modern Gallery, Dulwich Picture Gallery and one of the branches of the Imperial War Museum. The borough also features quite a few places of worship, with one of the best known ones being Southwark Cathedral. One of the oldest places of Christian worship in the capital (over a thousand years) Southwark Cathedral’s original building is a gothic style structure built sometime between the eleventh and thirteenth centuries, some features of the original building can still be seen today. Major reconstructions were done to the cathedral in the eighteen hundreds. Our packing services are credited to be the best in Southwark. It is like this because we work only with the best packing materials and shielding products. Keep in mind that you can opt to use our packing options as a standalone service or combine them into a personalised bundle that will best suit your needs. Know, that if you opt to the latter, you will be able to benefit from our special discounts as you will be using several of our moving options simultaneously. Speaking of prices, we want you to note that we work with cost effective fees which we form by using a relocation cost calculator that allows us to take into account the one of kind specifications of each property removal in Southwark for which we are hired. This way we are able to form customised rates which are fair to both parties and which allow us to maintain a reasonable quality/price ratio. We are a Southwark removal company that maintains nationwide coverage. This means that we can help your relocation from, to or across the area. We can also deliver your belongings to any spot in the county as all our vehicles are fitted with highly accurate navigational systems which allow us to easily find any address within the United Kingdom. So, don’t be shy to contact us if you are facing an inter-city move because we will gladly lend you a hand. The London Fire Brigade Museum is one of the most interesting venues in the Borough of Southwark. It is dedicate to the history and evolution of the local firefighters since the Great Fire of London in 1666. The museum is housed in the home of Captain Sir Eyre Massey Shaw and despite not being as popular as other venues in the borough, it is still visited by numerous people on a yearly basis.